An Archie Manning personal appearance, Archie Manning speaking engagement, or Archie Manning endorsement will reflect well on your company. 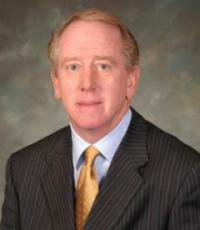 To hire Archie Manning now for any corporate appearance, fundraiser, motivational speaker event, personal appearance, autograph signing, or website endorsement please contact our celebrity agents at 1-877-6-SPORTS. We will contact Archie Manning or contact Archie Manning's agent and provide you with the booking fees and availability immediately upon your request. Direct Sportslink is the only sports speakers bureau and talent booking agency based in the United States securing only sports talent for corporations, associations, and organizations for motivational speaking engagements, personal appearances, and endorsements. We are the premier sports celebrity booking agency and a sports celebrity procurement expert. Accordingly, we will provide you with any relevant Archie Manning website information and booking agent details so that you can hire Archie Manning for your next event. In the first national prime-time broadcast of a college football game (1969), Manning threw for 436 yards and three touchdowns for Ole Miss, also rushing for 104 yards, in a heartbreaking 33-32 loss to Alabama. In his college career, he threw for 4,753 yards and 56 touchdowns and ran for 823 yards. He scored 14 touchdowns in 1969. In both 1969 and 1970, he was named to the All-SEC team and his #18 jersey was retired by Ole Miss. Manning was elected to the College Football Hall of Fame in 1989. Manning's legacy is honored to this day on the campus of Ole Miss which features speed limits of 18 mph for all on-campus streets. 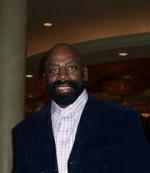 After college, he was selected in the 1971 NFL draft by the New Orleans Saints with the second overall selection. The Saints were at that time and throughout Manning's stay there one of the worst teams in the league, and Manning's supporters have often said that this was the reason that his career was less successful than it otherwise might have been. Manning played for the Saints for ten full seasons. In 1972 he led the league in pass attempts and completions, and led the NFC in passing yards, though the team's record was only 2-11-1. In 1978, he was named the NFC Player of the Year by UPI, despite the team's 7-7 record. That same year, Archie was also named All-NFC by both the UPI and The Sporting News. Manning was selected to the Pro Bowl in 1978 and 1979. He went on to conclude his career with the Houston Oilers (1982-83) and the Minnesota Vikings (1983-84). He ended his 13-year career having completed 2011 of 3642 passes for 23,911 yards and 125 touchdowns, with 173 interceptions. He also rushed for 2197 yards and 18 touchdowns. His 2011 completions ranked 17th in NFL history upon his retirement. Manning continues to make his home in the New Orleans area. 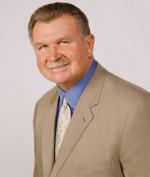 He has worked as a commentator for CBS Sports' college football broadcasts. He is the father of three sons, Cooper Manning, Peyton Manning and Eli Manning. Based on your interest in Archie Manning as a speaker or for a personal appearance, Direct Sportslink has provided you additional links below for other sports talent with similar appearance fees, speaker topics, and categories that match Archie Manning.